When and where are they added? The management board is a really large field of activity. 2PS list of services is likely to be updated with new services. But when and how are they accepted? By whom and how are they added? By members: When a 2PS Member thinks that the list of services is incomplete, he/she can suggest a new one from his/her profile directly. By a task force: Task Forces are groups of experts of the community, specialized in one field, they can also ask for updating a group of services related to them. 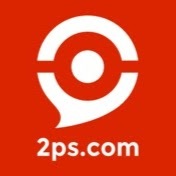 By 2PS directly: 2PS team can submit services too if it notices that requests concerning a specific subject are increasing in our research engine. These requests don’t ensure the services or the modifications asked will be approved. They are combined in a database which will be analyzed to ensure the efficiency of our research engine. It depends on services since our artificial intelligence algorithm must make the difference between each service and all the others. The more a new service will be different than the other services available in our catalog, the faster it will be indexed. If its description, keywords and functions are too close to another service, it won’t be added directly. It will be on standby. How to boost the processing? You can write relevant and exclusive articles about services you want to be accepted. Indeed, articles help to determine the way you work as an expert, and also to connect what you talk about in your articles with a description of services in 2PS catalog. However, the best way is to invoice. Indeed, entitles and descriptions of your 2PS invoice bring out of the standby all services with similar entitles. Invoice a client through 2PS with exactly the same description as the one of a pending service, it will be more likely to be accepted in the next days.